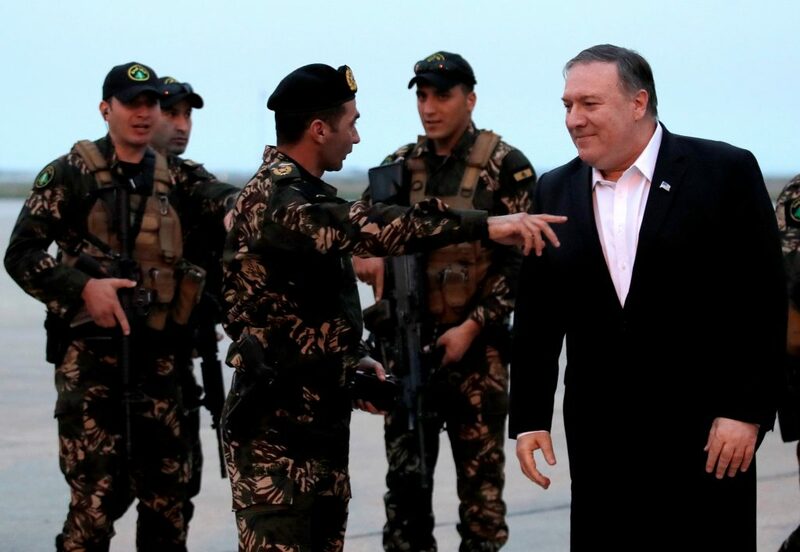 U.S. Secretary of State Mike Pompeo told Lebanese Prime Minister Saad Hariri during a recent visit to Beirut that Iran and Hezbollah have built a clandestine rocket factory in his country, according to Channel 13. Pompeo reportedly conveyed the information, given to him by Israeli Prime Minister Binyamin Netanyahu in Yerushalayim, prior to the Beirut trip about 10 days ago. The top American diplomat sought to impress on Hariri the potential danger for Lebanon in harboring Iranian military facilities, as Israel will not passively allow it to continue. Hezbollah reportedly closed similar factories after PM Netanyahu revealed their existence in a speech at the U.N. General Assembly in September. One of those sites, according to Netanyahu, was inside a football stadium, a second site near Rafic Hariri International Airport, and a third about 1500 feet from the airport’s landing strip, in the heart of the Maaganah residential neighborhood.